Fresh fish in the desert seems like an anomaly. 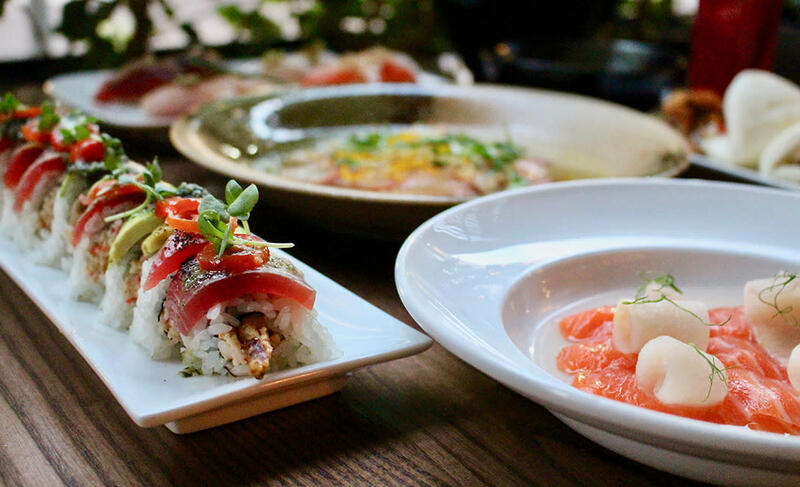 However, hot spots like Sushi Roku and Roka Akor, both with locations in Scottsdale, are on par with some of the top sushi restaurants around the world when it comes to fresh fish and flavor combinations. Although we are in the middle of the Sonoran Desert, Scottsdale’s top sushi spots focus on high-quality, fresh – never frozen – ingredients. 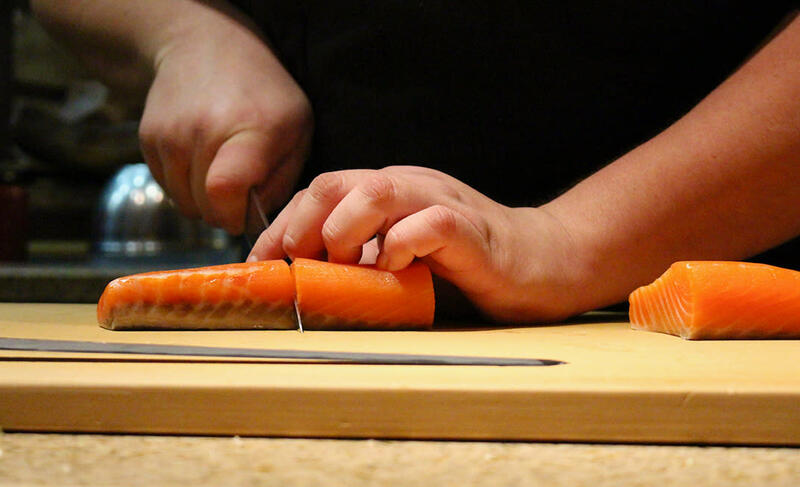 From the fishermen making the catch to the local chef preparing the dish (with incredible plate presentation, I might add), everyone involved in creating the sushi served at Scottsdale restaurants is dedicated to quality and freshness first and foremost. 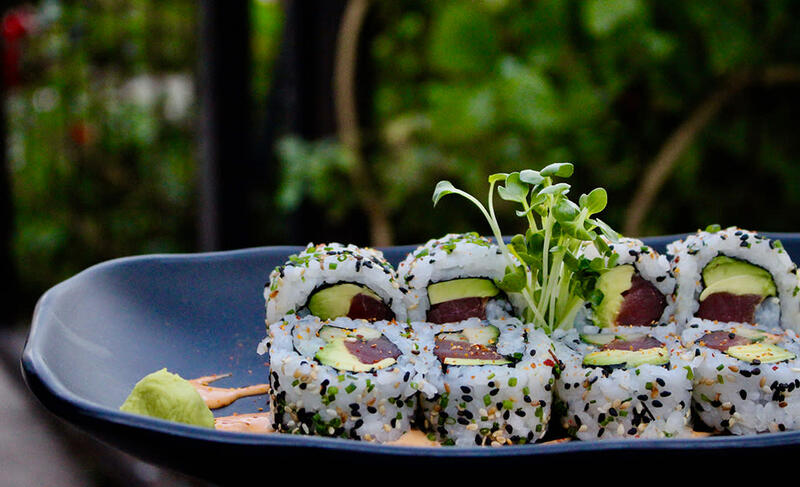 You’ll also find that Scottsdale has more choices than one might expect for a unique sushi experience. 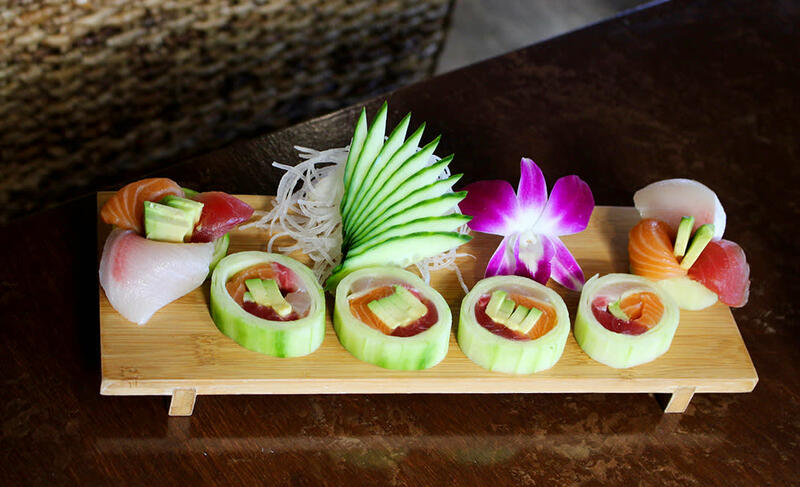 Whether it’s the approachable neighborhood spot, a fusion and fun concept or an upscale establishment that prides themselves on tradition, sushi in Scottsdale is fresh, creative and respected as a form of art. Part of Sushi Roku’s draw may be the uber-chic scene at the W Scottsdale Hotel, but it’s the list of fresh fish you can’t find anywhere else in the city that keeps real sushi lovers coming back. How fresh is fresh? Sushi Roku orders their fish from purveyors around the world every day by 5 p.m. and it is sent overnight to arrive by 7 a.m. the next morning. The restaurant also offers an authentic Japanese experience, the "Omakase" (meaning “I’ll leave it up to you”) dinner, in which you entrust Master Sushi Chef Joseph Castillo to create a Signature Roku Platter, a must-try. If a roll is what you’re craving, go for the Senshi, which comes with yellowtail and cucumber and is topped with avocado and spicy aioli. 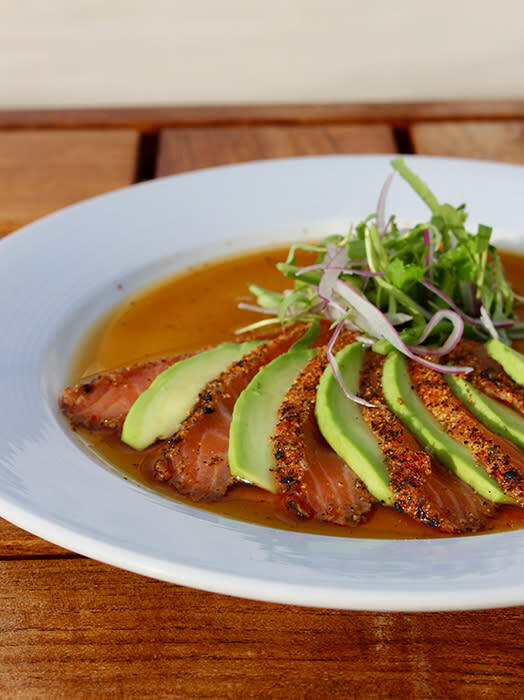 Must-orders for the table include the Octopus Crudo with yuzu kosho, olive oil and lemon and the Seared Salmon that has a togarashi crust, avocado and a cilantro jalapeño salad. This neighborhood go-to spot is chef-driven but not pretentious. The menu is very sushi-forward (with fish delivered daily!) but there are some excellent entrée options for the anti-raw-food person in your life. When it comes to sushi rolls, there are plenty of choices, including the usual suspects like Philly, Las Vegas and Spider. 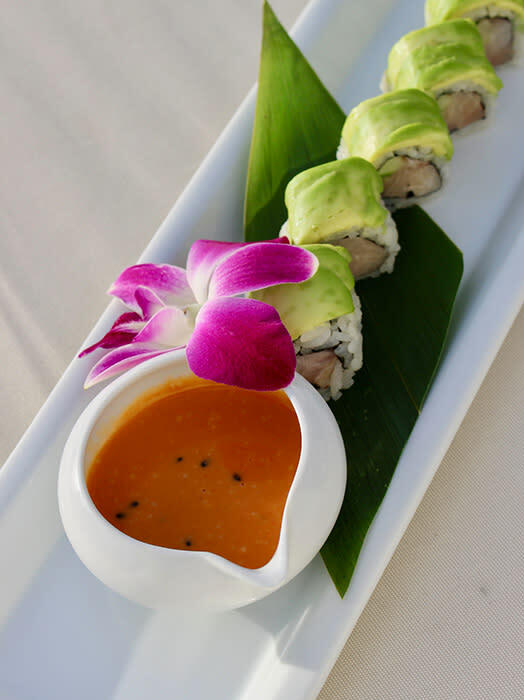 But, be sure to flip the menu over for an impressive list of 12 specialty rolls, including creations like Colleen’s Dream, with tuna, mango, avocado, Fresno chile pepper, kaiware (radish sprouts) and a jalapeño vinaigrette. 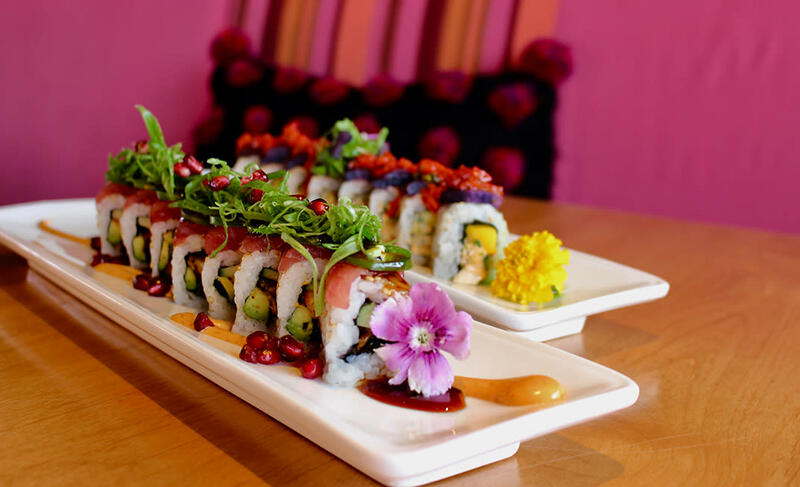 At SumoMaya, where the food is as bright and colorful as the space, Executive Chef Lorenzo Lopez seamlessly fuses South American, Mexican and Asian flavors, making a bold statement with every bite. Paired with extremely fresh and premium-grade fish, the sushi rolls take on Mexican flavors in the sauces and toppings that add components of heat, citrus and creaminess. The restaurant recommends ordering three to five plates to “maximize your experience,” which means that you may end up with a flavorful, eclectic mix like pomegranate guacamole, kimchee fried rice, a lobster mango roll topped with Okinawa potato and piquillo chimichurri, and the must-not-miss high-grade Wagyu beef hot stone appetizer (grade *A5). A unique, “free-form” and flavorful sushi experience is certainly to be had while enjoying SumoMaya’s see-and-be-seen atmosphere. OBON reinvents the traditional sushi bar and brings a little edge to the Scottsdale Quarter with entire menu sections dedicated to ramen and steamed buns, a cocktail list that has a nostalgic flair and a few standout kitschy décor pieces. While every menu item is thoughtfully curated, standout favorites include the jackfruit steamed buns with bbq pulled jackfruit, hoison, peanut, pickle and cilantro lime sauce; the Tataki Maki roll with shrimp tempura, spicy crab, seared tuna, avocado, grape tomato, chimichurri and basil; and the Chilled Kimchi Noodles with marinated vegetables, soft poached egg, spicy sesame dressing. And if you’re a cocktail novice, OBON has you covered with a picture list displaying their creative cocktails, like the Coconut Thyme or Korean Cooler. With an impressive list of accolades and extensive steak and sushi menu, Roka Akor is a Scottsdale restaurant rite of passage. The fish is flown in daily and the lounge-like ambiance blends beautifully with a sophisticated beverage program providing a truly luxurious experience. If enjoying an evening date with yourself or someone else, definitely sit at the Chef’s Bar. Watching the plate preparation to presentation process is similar to observing a well-choreographed dance – every step by Sushi Chef Kai Torcuato’s team is taken with incredible precision, passion and care. In addition to premium roll, nigiri and sashimi selections, Roka offers the holy grail of beef – Japanese Grade A5+ Wagyu and domestic cuts from purveyors such as Niman Ranch and Snake River Farms. At Buck & Rider, the sushi portion of the menu may be small and simple but the focus on freshness and quality more than make up for it. Considering themselves more a fresh fish market than anything else, the fish is flown in every morning and kept on ice. While mirroring a seafood market, cocktails like the refreshing Ace in the Hole (with Arette Reposado Tequila, lemon and bonal) and an order of the Baja Shrimp Ceviche bring you right back to the restaurant experience. Don’t miss the Crab and Macadamia with asparagus, fresno chiles, and shiso remoulade. A daily happy hour, outdoor patio with views of Camelback Mountain, and a shareable menu make Buck & Rider a great place to go with friends.